Posted August 31st, 2012 by & filed under Dentist. 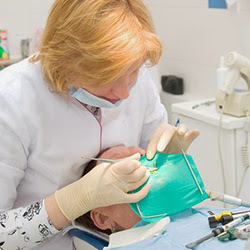 You need an Orthodontist in Muhlenberg if you are planning to get braces for your teeth. Orthodontists specialize in correcting the misaligned teeth and jaws which is also known as ‘bite’. A misaligned jaw or teeth can cause problems with chewing and speech. When severely misaligned it causes snoring, sleep apnea and breathing problems. Posted August 8th, 2012 by & filed under Dentist.